Simply the best solution for unattended disc duplication runs! The Microboards HCL-8000 Autoloader. Capacity, reliability and throughput in a record only duplication solution with the ability to queue multiple masters. 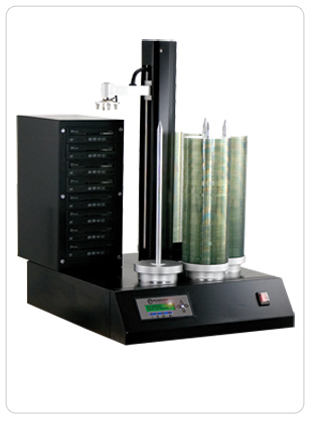 8 recorders allow the Microboards HCL-8000 Autoloader record 40 to 72 DVDs and 56 to 104 CDs per hour! The Microboards HCL Autoloader is a self contained unit with no external PC or mess of wires to attached, simply plug the unit in and start duplicating! When you need to burn a lot of CDs, DVDs or Blu-Ray and using a push button duplicator tower isn’t feasible, the Microboards HCL Autoloader is the simple choice. Handisc offer a range of support levels to ensure peace of mind. The HCL-8000 comes with 1 years Back to Base warranty but this can be extended if needed. We can also support or repair a system that wasn't supplied by Handisc.